Above: Greenhouse in late winter with cover crops and new blossoms on peach. 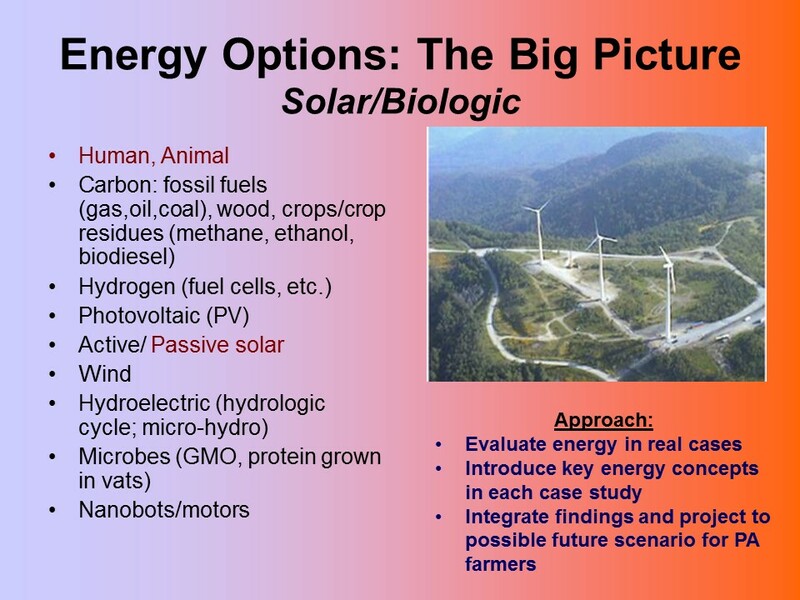 The presentation took two forms: a powerpoint presentation, and the full text of our study "Implications of and Alternatives to Petroleum-Based Agriculture." 2. The biggest contributions to our total energy budget are largely outside our direct intervention; that is, we all rely on fossil fuels for transportation in its many guises and for electricity, itself produced by fossil fuels. Below: We show the pie chart for our energy use. The total comes to 91 million BTUs, but this does not include energy embedded in other activities (indirect energy consumption). 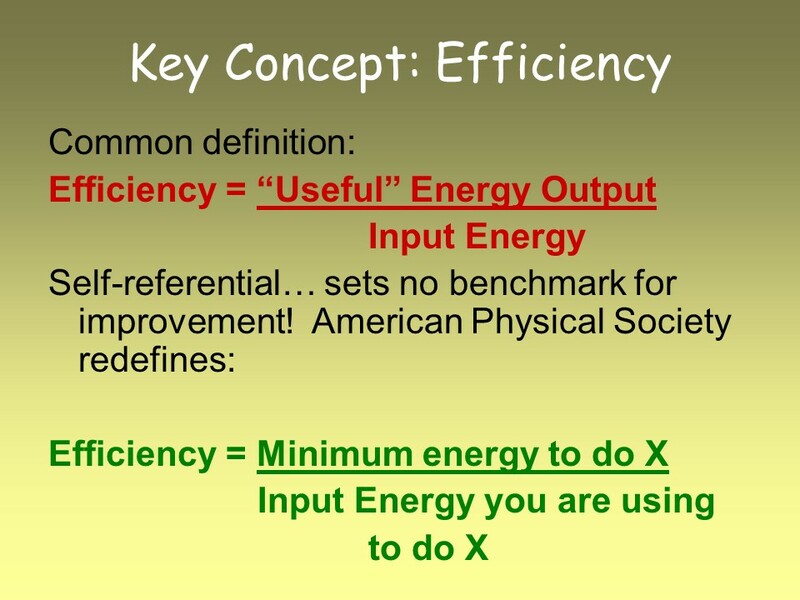 Above: The first definition shown above is commonly used, but represents only device efficiency, and is VERY misleading. We should be thinking in terms of the second definition. See the full text of our study for elaboration and examples. 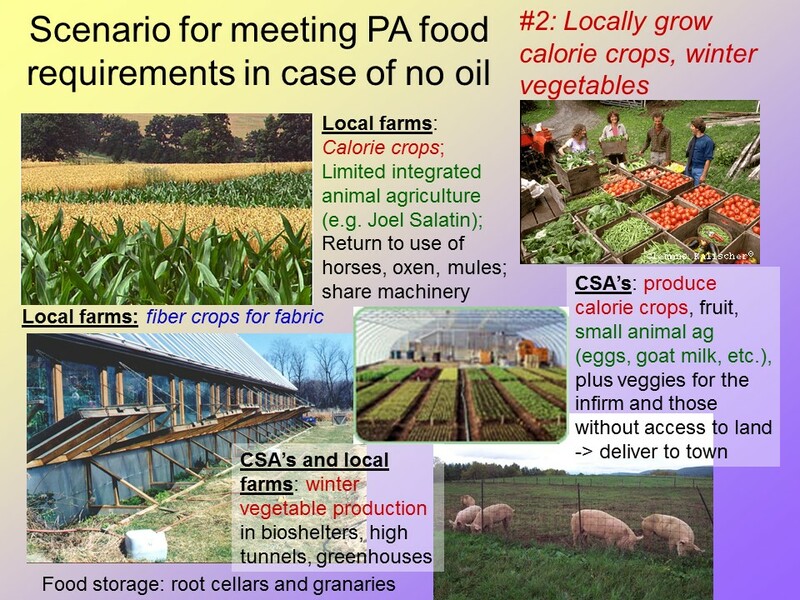 Below: One of five scenarios for meeting PA food requirements.